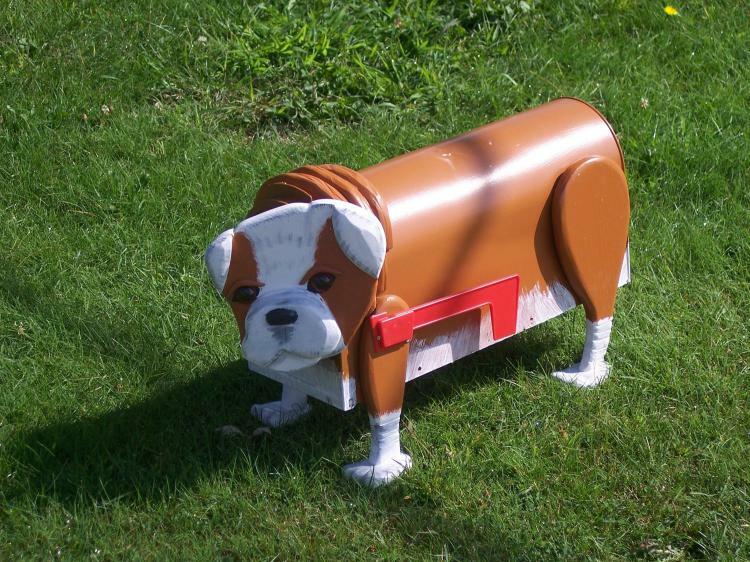 Novelyy mailboxes were a thing back in the 80's and 90's, but I think they're coming back around again. 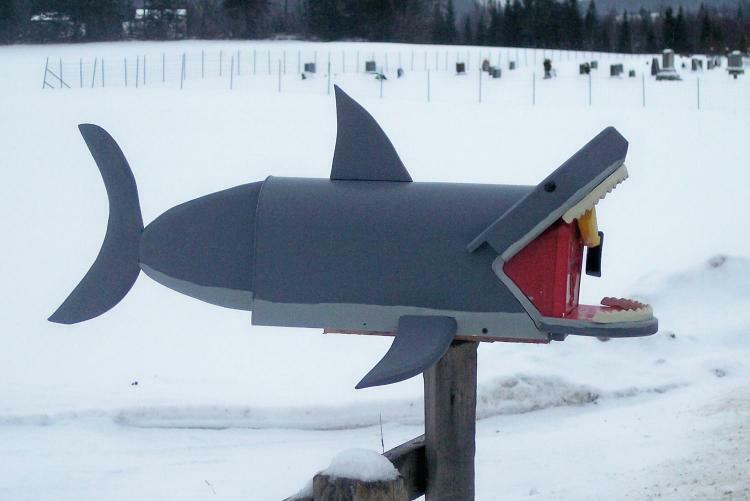 Hence, this beautiful great white shark mailbox. 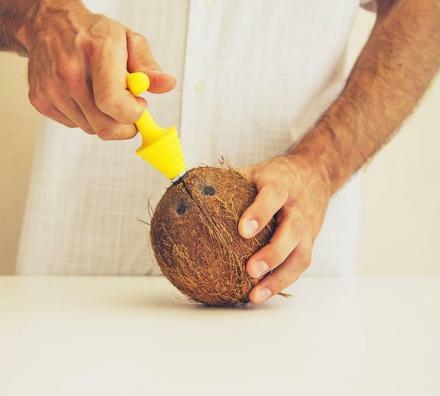 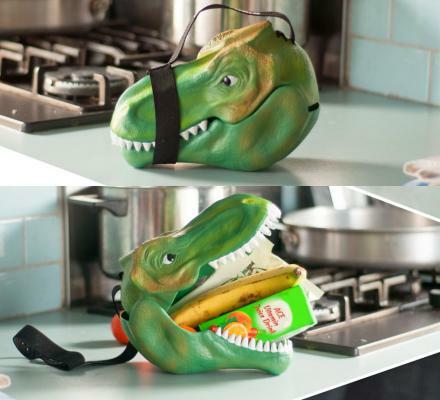 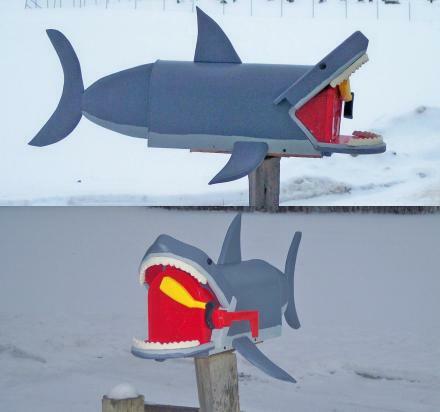 It turns your mailbox into a shark, and you'll have to put your hand inside his vicious mouth to open your mail. 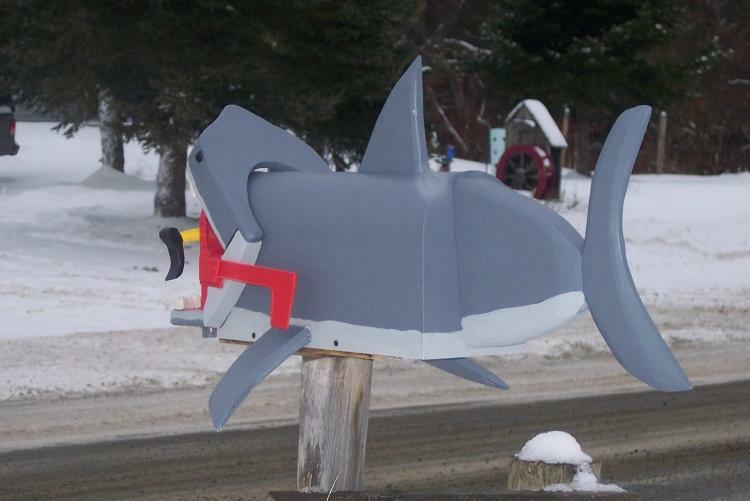 The great white shark mailbox even has a swimmers leg with flippers on inside his mouth, so you know he's quite dangerous already. 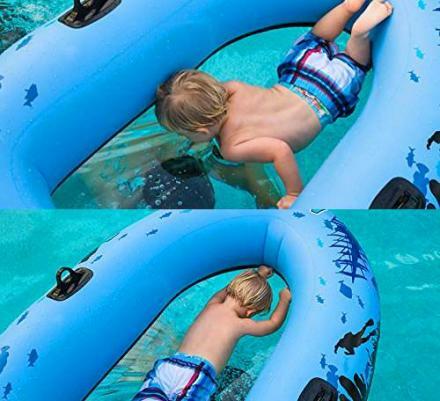 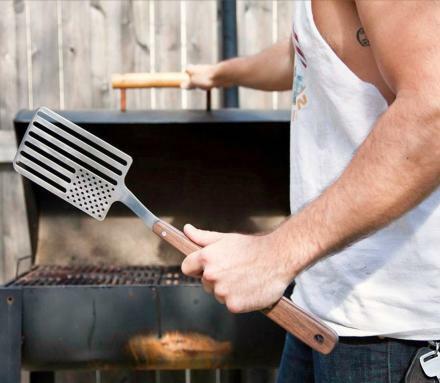 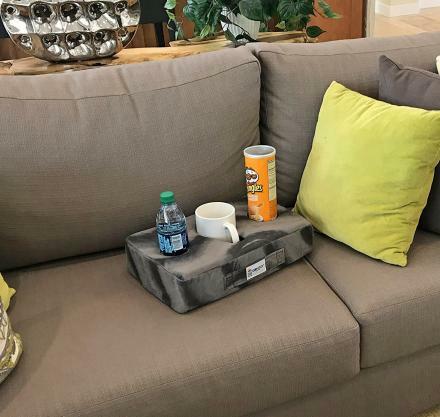 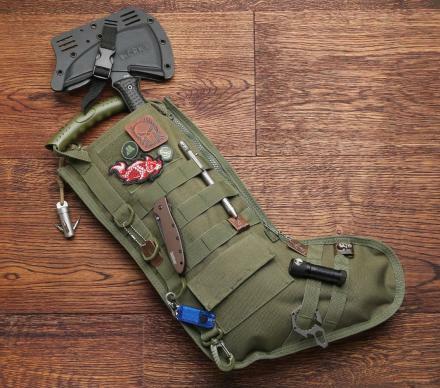 The swimmers leg also acts as a handle to the front door of the mailbox so you can easily open and close it. 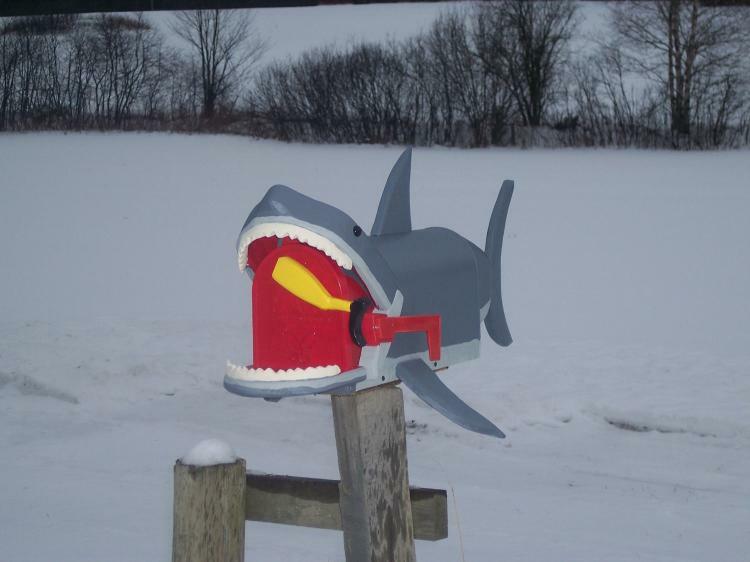 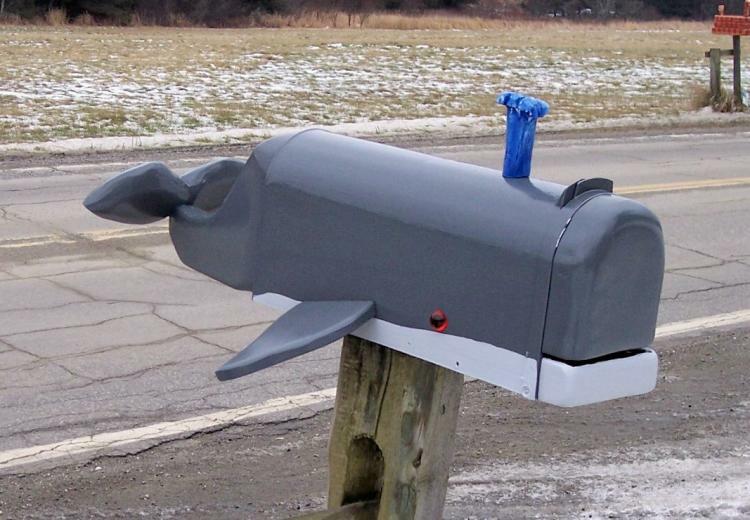 The great white shark mailbox features a usable flag when you need mail picked up, requires some assembly once received, and shark mailbox measures 40 inches long x 18 inches wide x 15.5 inches tall once fully setup. 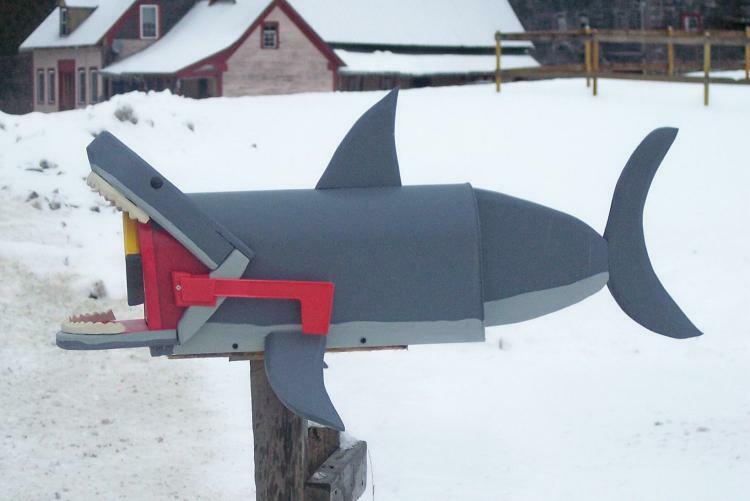 The shark mailbox is hand-crafted by Etsy store CrossKnots, and will take around 4 weeks to complete making the shark and get it shipped to you. 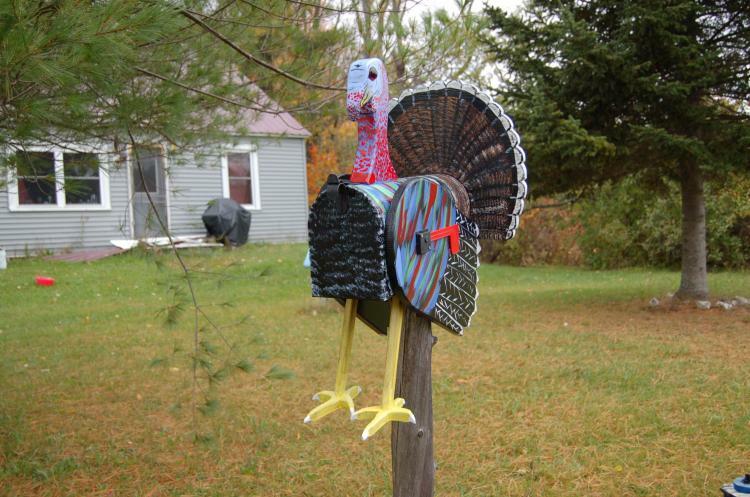 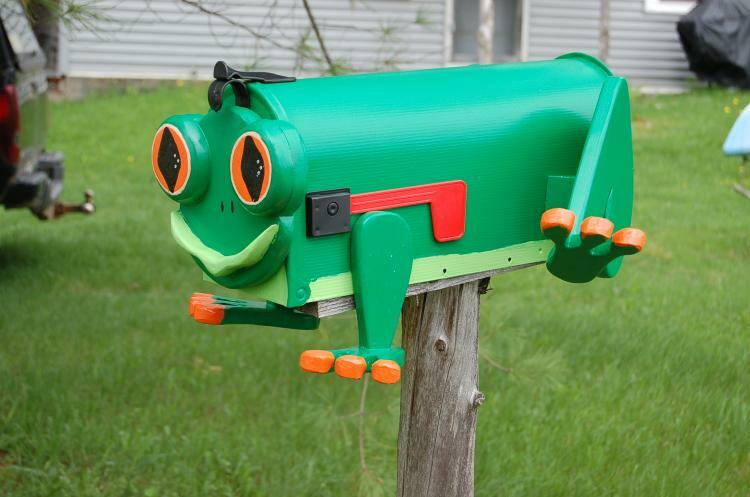 They also make some pretty great other novelty mailboxes, including a bulldog mailbox, a tree frog mailbox, a turkey mailbox, and more.